RALEIGH, N.C. (March 26, 2019) – It took virtually no time for the chunky northern-strain largemouth of North Carolina to reveal themselves on Major League Fishing® (MLF) Bass Pro Tour’s Day 1 of the Favorite Fishing Stage Three Raleigh presented by Evinrude: Jason Christie boated a 7-pound, 12-ouncer just 4 minutes into competition on Jordan Lake, the first fish of the day. Christie’s opening shot was just the beginning: By the end of Shotgun Round 1, 11 7-pounders and 48 fish over 5 pounds made it onto SCORETRACKER™, an astoundingly impressive showing for an unknown fishery that most of the field of 80 had never even seen before practice. But even more impressive was the fish-catching clinic put on by Kelly Jordon. 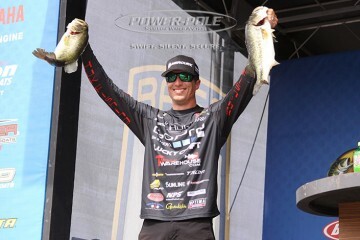 Fishing his way around a shallow creek arm of this impoundment of the Cape Fear River system north of Raleigh, the Texas pro piled up 82-4 on 26 fish, not only winning the round by over 18 pounds, but also establishing a new single-day MLF Bass Pro Tour weight total. Jordon did the majority of his damage with an Evergreen Jack Hammer bladed jig with a Lake Fork Tackle Live Magic Shad trailer, and he did it consistently for the first five hours of competition, pinging SCORETRACKER with four to five scorable largemouth per hour until he hit a brief lull late in the afternoon. He found some good ones, too, highlighting his day with seven 5-plus-pounders, including a 5-2 and 5-6 in the final five minutes of competition. The rest of the field, while lagging a sizeable distance behind Jordon for most of the day, had some notable success as well. and connecting with the biggest fish of the day, a 9-4 giant that inhaled a jig early in the third period. Faircloth stacked up over 35 pounds of largemouth in the final period to trim Jordon’s lead to 10 pounds before K.J. caught his final two 5-pounders. Jacob Wheeler and Mark Daniels, Jr. combined for 102-7, Wheeler with 54-5 and Daniels with 52-1. In one 2 ½-hour stretch in the third period, Daniels caught five fish for 27-13. Nine of Wheeler’s 14 fish were 4 pounds or better. Edwin Evers continued his season of consistency, catching 19 fish for 50-6 and fifth place. That marks Evers’ fourth consecutive round finishing in the Top 5. 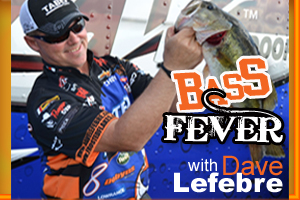 The field’s big-fish success didn’t come as a surprise to MLF NOW! 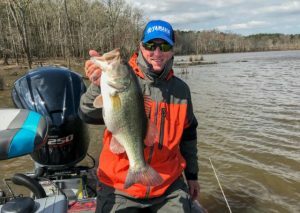 analyst Marty Stone, who touted the big-fish potential of the Raleigh-area lakes, and was instrumental in bringing the Bass Pro Tour to North Carolina. As Stone repeatedly reported in the weeks leading up to the event, Jordan Lake was set up for a record-breaking performance, despite the fluctuating water levels. “I think the size of the fish caught these guys off guard a little bit,” Stone said. The second half of the field gets its first crack at Jordan Lake on Wednesday when Group B competition begins. Conditions could be slightly more challenging in the morning, as nighttime lows will dip to near freezing, but a forecast of afternoon sunshine translates into a possible strong afternoon bite. The field will carry their Shotgun Round weights to Falls Lake on Thursday and Friday for the Elimination Rounds. 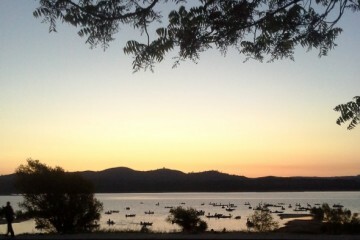 The Top 20 anglers from each Elimination group will advance to the Knockout Round on Saturday (also on Falls). The Top 10 anglers in the Knockout Round will advance to the Championship Round on Shearon Harris Reservoir, a 4,100-acre power plant lake that’s known for its population of 6-plus-pound largemouth.